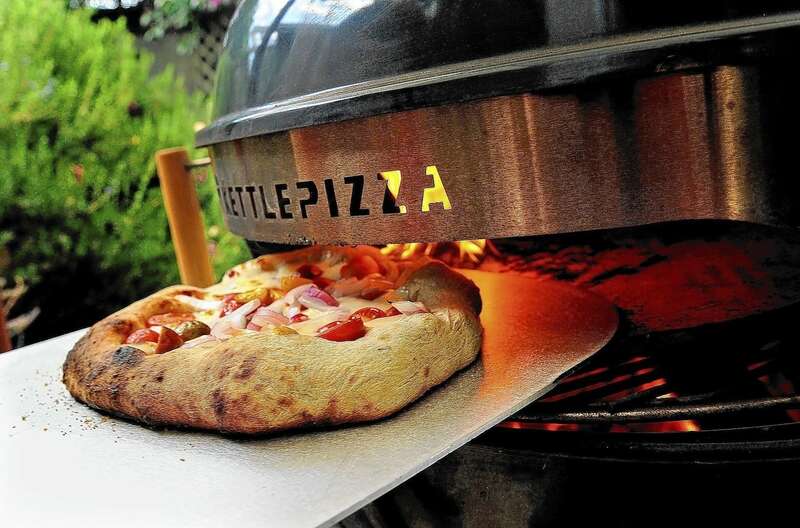 Create mouth-watering pizza right at home with the KettlePizza Wood-Fired Pizza Oven Kit. 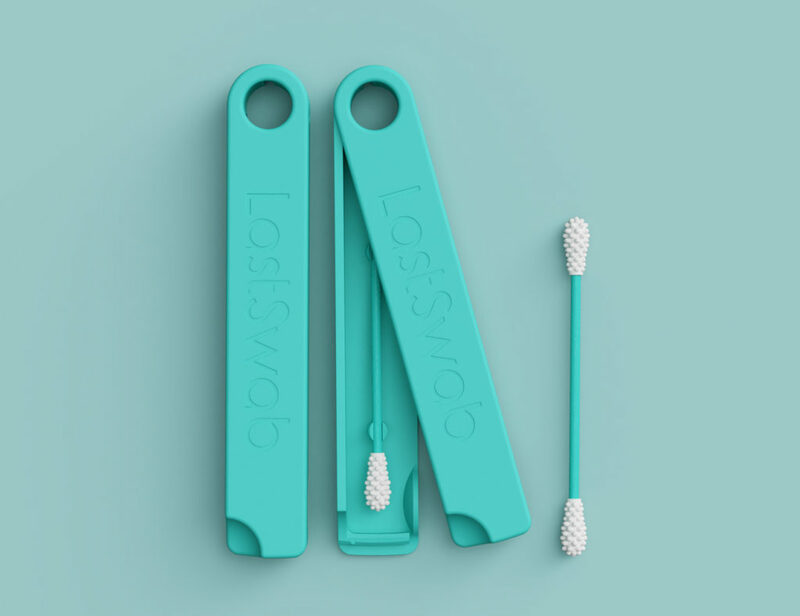 It has all you need for the most delicious pizza. 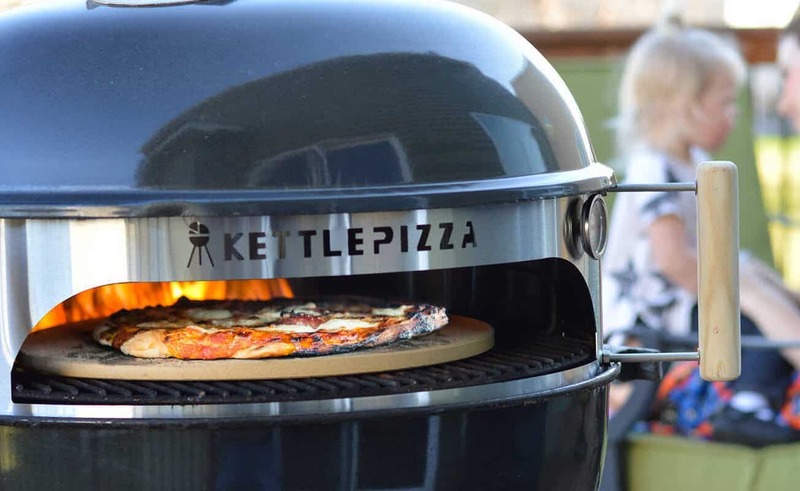 Create mouth-watering pizza right at home with the KettlePizza Wood-Fired Pizza Oven Kit. 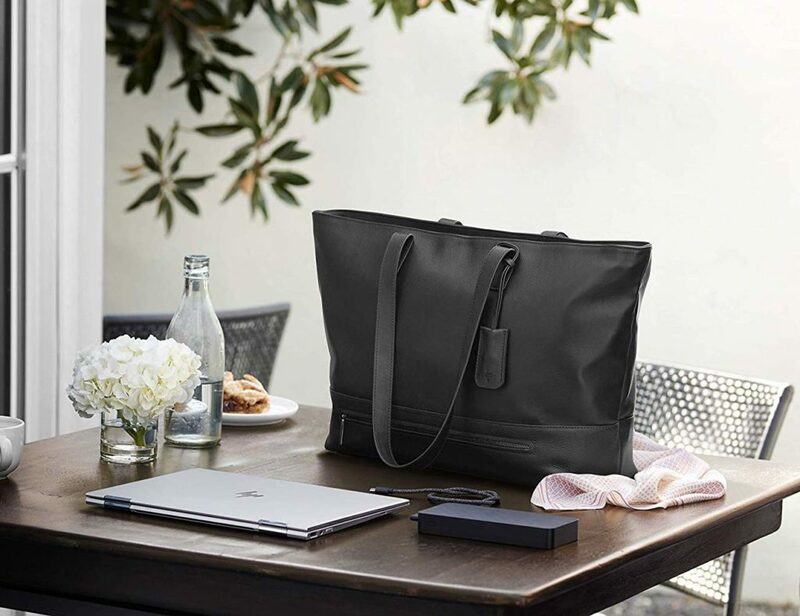 This has everything you need for the most delicious pizza complete with a crunchy crust. 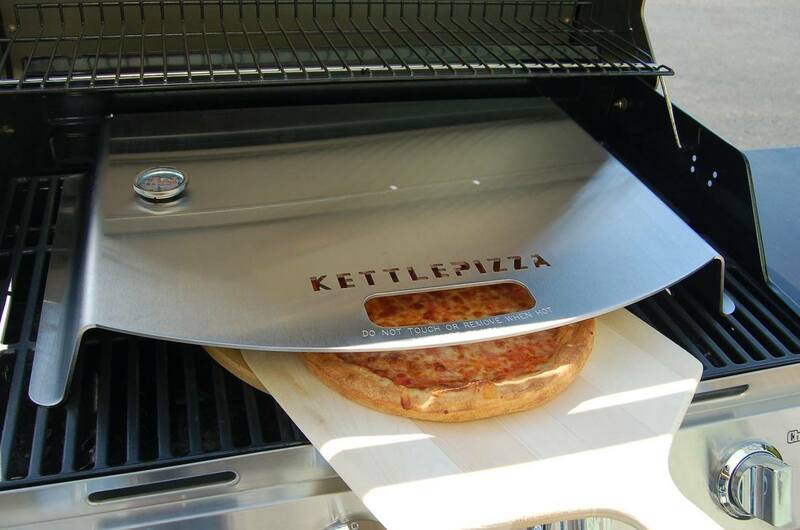 The KettlePizza includes a grill-safe aluminum pan. 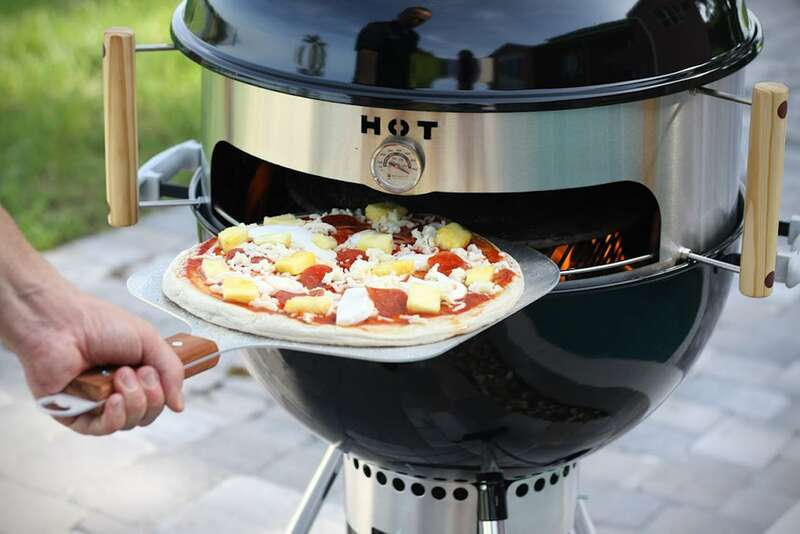 Simply slide it onto the top of your grill and put your pizza inside. 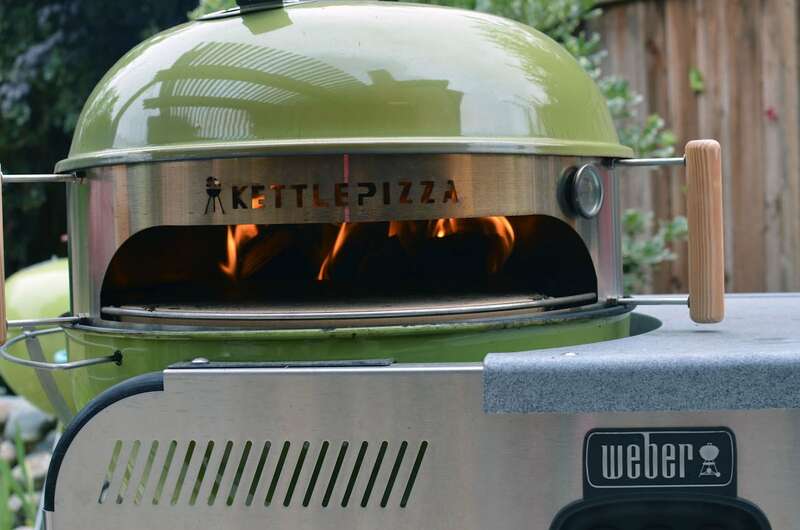 The KettlePizza comes in a variety of sizes to work with most grill models including popular brands like Weber. 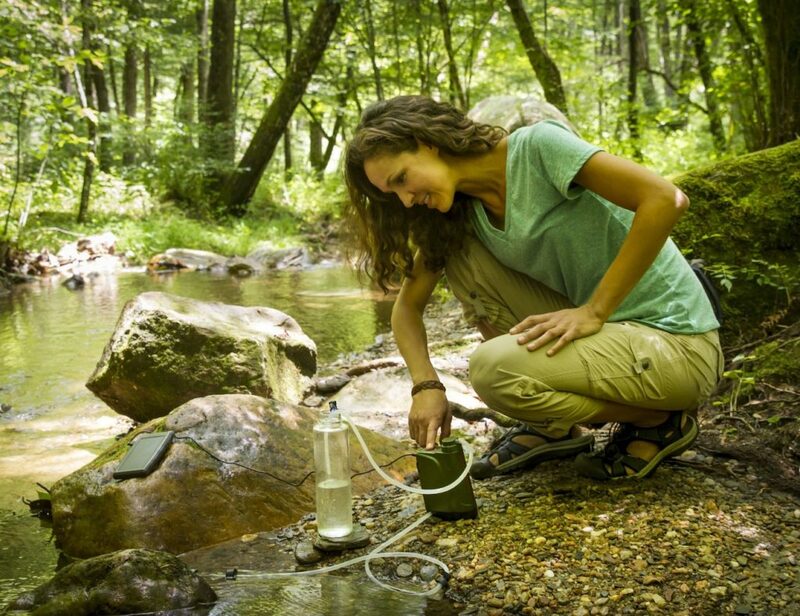 In addition, it also works with both wood and charcoal grills. 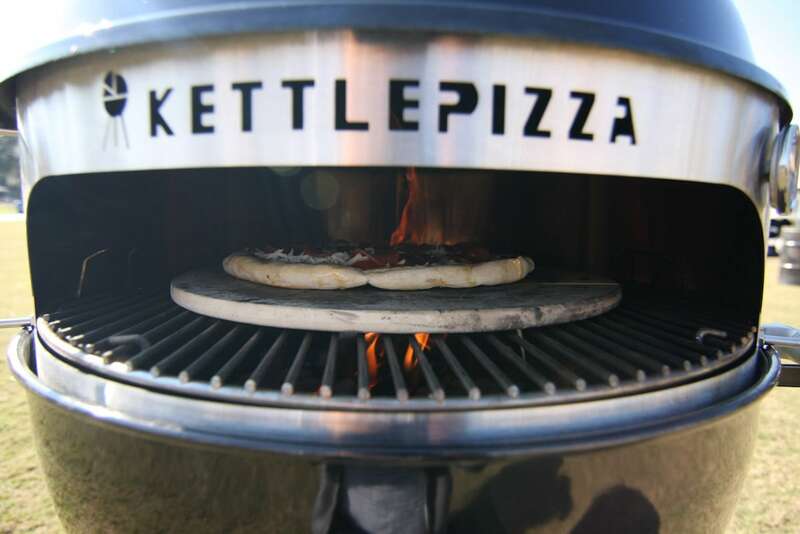 The heat from the grill surrounds the KettlePizza to evenly distribute weight throughout. This way, every inch of your pizza is cooked to perfection. 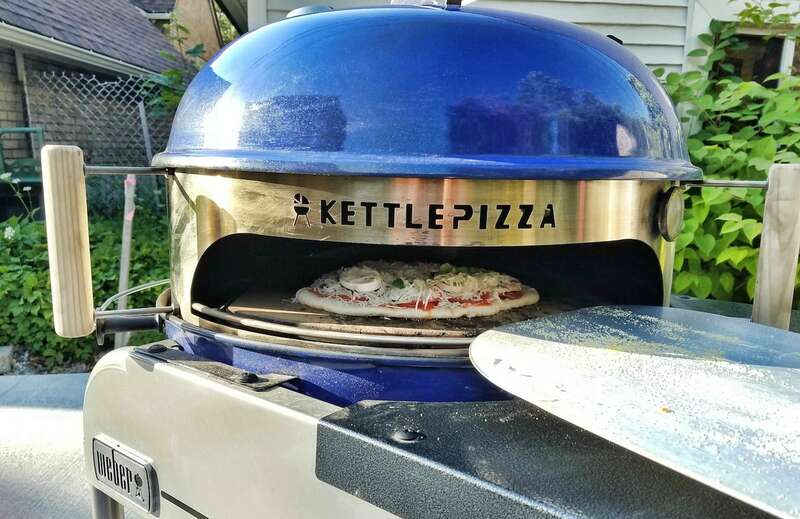 The KettlePizza also comes with a thermometer and cool to the touch handles for easy handling.